Azure Aster - For the love of jewelry and all things happy, quirky and sparkly! Azure Aster is a family owned business located in Aurora, Colorado. 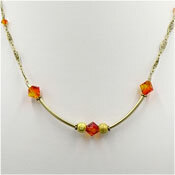 We started our jewelry journey online in 1999. We've been going strong for 19 years and now offer many different and unique items. You will find everything from our own special and custom designs to awareness jewelry, imported and vintage jewelry, craft supplies, gifts and collectibles from most eras. Our long time customers may know our company as Crafts'N'Scraps or Dana Rae Jewelry and in August 2017 we grew into Azure Aster! Thank you for supporting our little business. We could not have done it without you! Contact us if you would like to chat! I am addicted to jewelry and I love and collect jewelry from all eras especially antique and Victorian pieces. I caught the jewelry bug early and I have been designing and selling handmade jewelry since high school in Hawaii under my name Dana Rae. Crafting is in my blood and I come from a family with some very talented artists. I developed a love for ceramics in college. I believe anything can be made into something wonderful with a bit of imagination. I make crafts from scraps of clay, fabric, beads, wood, paper etc. (hence our original name of Crafts'N'Scraps). I make scrapbooks, paint Dungeons and Dragons figurines, do cross stitch, needlepoint, draw, paint, quilt, sew a little, do machine embroidery, and of course work with polymer clay and beads. My designs are influenced by my lifelong love of crafting. Some of my designs are quirky, but then again so am I. You know your a craft addict when you come up with designs in your sleep! I really love making them and I hope you will love them too! Years ago, I decided to create fertility and awareness jewelry to help uplift and support the spirits of others. It has been such a pleasure to be able to do such meaningful work. There is love and good wishes in everything I make and sell. I hope you will find the time to stop by and visit us again and again. We will be working very hard to make this a valuable resource for all! After serving in the armed forces for 20 years, Mr. Jewelry is finally home for good! We are blessed to have him with us again. Danny is the best all around helper and is a whiz at driving your orders safely through snow and ice, monsters and anything else standing between us and the post office.